Helen Catherine Kunkel died July 28, 2014 at Boutwells Landing in Oak Park Heights, Minnesota. She was born November 7, 1923 in Sioux Falls to Leslie and Helen Kelley. She graduated from Cathedral High School in 1941. She married Dale Kunkel in 1943 in North Hollywood, California. She lived in Sioux Falls most of her life moving to Minnesota in 2013. 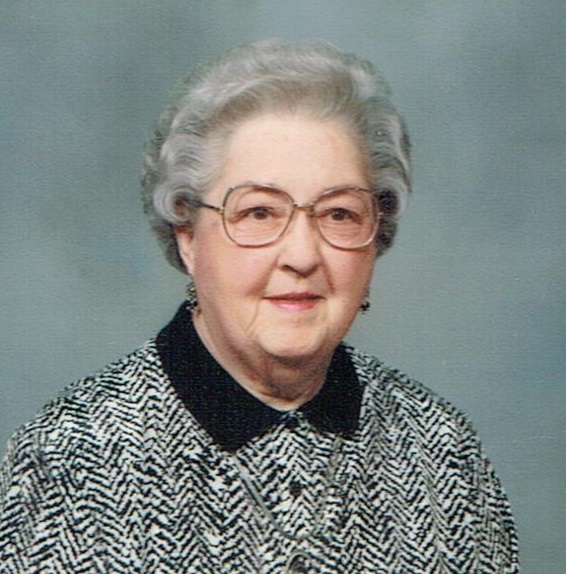 Helen was a member of St. Michael Parish and Catholic Daughters of America. She was a charter member of Christ the King. Helen started as an operator at Northwestern Bell Telephone Company in 1941 and retired in 1983 from US West after 37 years of service. She was a proud member of the telephone pioneers. She enjoyed fishing trips and traveling in the camper with her husband. Especially important to her was the time she spent with her two granddaughters. Grateful for having shared her life is her daughter: Mary Helen (Michael) Breci, Oakdale, MN; two granddaughters: Gina Breci and Kara (Tony) Breci-Holter; two great-grandchildren: Vinny and Noelle; and twenty-five nieces and nephews who filled her life with love. She was preceded in death by her husband, Dale in 2007, and her sister, Margaret Hanneman in 2009. Memorials may be directed to St. Michael Parish. Visitation will be Thursday, 5 PM at Barnett-Lewis Funeral Home with a Scripture Vigil at 7 PM followed by the Rosary. Mass of Christian Burial will be Friday, 10:30 AM at St. Katharine Drexel Church. Burial will be in St. Michael Cemetery.